A warm welcome to Success Boomerang! My name is Marina, and I'm a former corporate expatriate, repatriate who never came home: I repatriated to Sweden, my husband's home country. Despite my fast moving career before I stepped on the expat journey (I worked at Tetra Pak and left it to establish and lead a Swedish welfare foundation in Russia: Susanne Westerbergs Minnesfonden). In my 24 I helped with welfare projects to the Swedish Queen Silvia. I worked under the direct leadership of Charlotte Bonnier, who was a profound leader. Yet when moving to Sweden from Pakistan, I faced all possible and impossible challenges of integration. I struggled to find a qualified job and to find services which help with career advice beyond generic advice. Despite a recognised Master degree in Sweden, working experience from three Swedish companies in Russia and fluency in Swedish. I was told I am overqualified for many administrative jobs I applied for, knowing that I spent six years of my life as a corporate expat spouse without a work permit in Italy and Pakistan, that made my job search a disappointment. To handle it all, I studied stress management and started up a small wellness centre in 2012 that led me to create my signature intercultural stress management work. As a Sustainable Stress Management Coach, working with stress prevention and rehabilitation since 2011, I was continuously looking for a natural way to balance stress, help depressions, free children from fears and studied and practised many methods. All of the methods gave results, yet they were not permanent. All of my clients had international experience or roots, and it felt like there was a missing bit of the puzzle. I didn't want to make people needy - I hoped to find a method of natural balance that is not based on theories and is universal for all people regardless of their culture or upbringing. In 2018 I started to study a work of Dr Edward Bach and enrolled for intense year-long studies in the UK as a Bach Flower Practitioner. While researching, I used the Bach Flowers and gained the balance I have forgotten I had. I didn't have a need to do daily yoga or have multiple sessions of coaching. I also released the trauma from the past. This method gave outstanding results of holistic emotional balance for adults and teenagers. Today I have forty successful stress management cases in my portfolio, all covered by the Bach Flower Therapy. Through this particular year of deep personal healing and helping others to return to the balance, I completed the entire Bach Flower Practitioner education, and am in the process of registration with the Bach Center in the UK, who is the main body for international training and competence. As the stress of a career loss requires not only therapy but a meaningful existence and personal growth, I helped many expat spouses to start up a business and to identify the business they want to create when moving abroad. In the expat support, I successfully assisted clients from Sweden, Russia, Finland, Israel, France, Poland, the UK and USA, corporate expat spouses and foreign academics in Sweden. Today I am offering a unique opportunity to the corporate expat spouses to manage their stress of relocation, much easier adapting to the new culture and managing stress while building a rewarding business that can follow with you to the next destination, regardless of its geographical location. My complete signature solution that creates shared value for the expat family, corporate leadership performance and improved corporate social responsibility in expatriate management: a possibility of a meaningful career for the following spouse in any geographical location: we do work online! Plus, remediation of my career: as a corporate repatriate and X-expat spouse who gave the corporate world the best years of my career development with zero career support in return. The rejection of help became my re-zillion driving force to support others. Corporate expat spouse deserves support that unfortunately, is not understood by societies and even by many multinational companies that are thriving because of attracting global talent that put the following partner often to career loss and years of re-education, re-training and stress and economic challenge that can be prevented through working with me. I have first-hand experience and understanding of intercultural challenges, that is very specific and not clear for those who never lived outside of monoculture. I provide expatriate stress management to expat spouses and their families, cooperating with global relocation, corporate HR mobility and NGO's and provide on-demand career orientation for expat spouses. Taking my career on a new level at CBS and studying startup strategies for innovation, I know I have done so well with my business startup, and I took it where my heart was calling: to help other expat spouses to avoid all that I went through and make it better, quicker with less stress and broken expectations. I worked with many individual expat spouses, and now I am ready to test my solution on a multinational company that understands the importance of expatriate support. For that purpose I am studying corporate social responsibility, diversity, multinational people management, expatriate mobility and human rights to achieve my vision of lean and innovative expatriate support I provide that creates win-win results for both company and expatriate families. Sustainable, holistic stress management and coaching online internationally for expat families going through the challenge of cultural transition. I turn career loss of the following spouse into a new career opportunity that removes stress and challenges of dependent existence so typical for women. "Marina has a deep understanding and practical knowledge of issues of the third generation culture. She is clearly passionate about helping expat spouses find their professional way and her support is not only moral but also practical. Marina uses her rich professional and expat experience to help other expats understand the Swedish society and particularities ofits job market. With her creative and proactive mindset, she shares relevant and personalized ideas about adapting our experience and skills to life in the Swedish society. The solutions and concrete steps she suggested to me resonate greatly with my personal goals and ambitions. 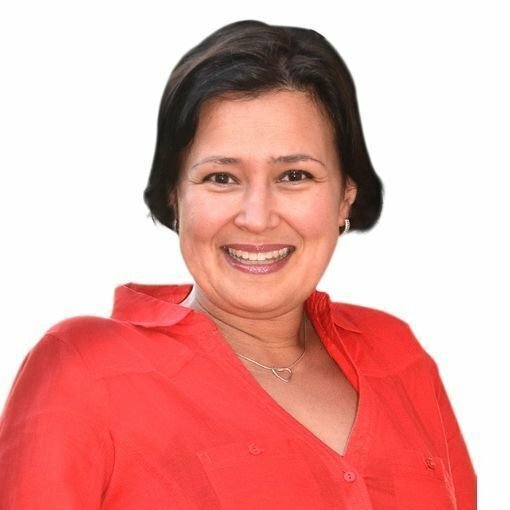 I trust Marina and highly recommend working with her to every expat (spouse) who wants to keep growing and reinvent a professional life in a new culture." "I strongly recommend Marina's Career Development Program because it stands out among the others. Marina is a compassionate mentor. She creates a very warm and friendly atmosphere in the group and customizes her advice depending on the professional and personal profile of each participant. Thanks to this program I have expanded my business network to a new level, found new opportunities for potential cooperation within project management and defined my career perspectives. Whilst being in Marina's program, I got an administrative position at Sensus, one of the largest adult education associations in Sweden. During my 4 years in Sweden I have gone though a long and challenging process of establishing myself in this country despite having participated in other programs for foreign academics. After working with Marina I found job at IKEA with Sustainability scope. The 10 weeks ‘’Own Business Creation program’’ was beneficial for me in terms of understanding of how to handle business in a new country when you are an expat. Thanks to Marina Malmberg and its program I know now which niche to target, which kind of products works in Sweden. “Own Business Creation program’’ is also a formidable networking opportunity. I definitely recommend this program for those who want to start a business in a foreign country.